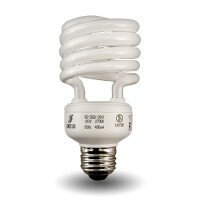 3-WAY Compact Fluorescent Retrofit Standard Spiral bulbs. Three levels of light from one bulb, used in table lamps with switches made for a 3-way bulb. Energy efficient and very "green" this high quality bulb is made to last for years during normal use.